In the fall of 1995, When my 5 year old daughter’s gorgeous, new little blue-eyed Himalayan kitten was stolen, I set out to find her another kitten to mend her broken heart. My goal was to locate the most homely kitten in the universe and take it home so that no one would steal my baby’s new friend. 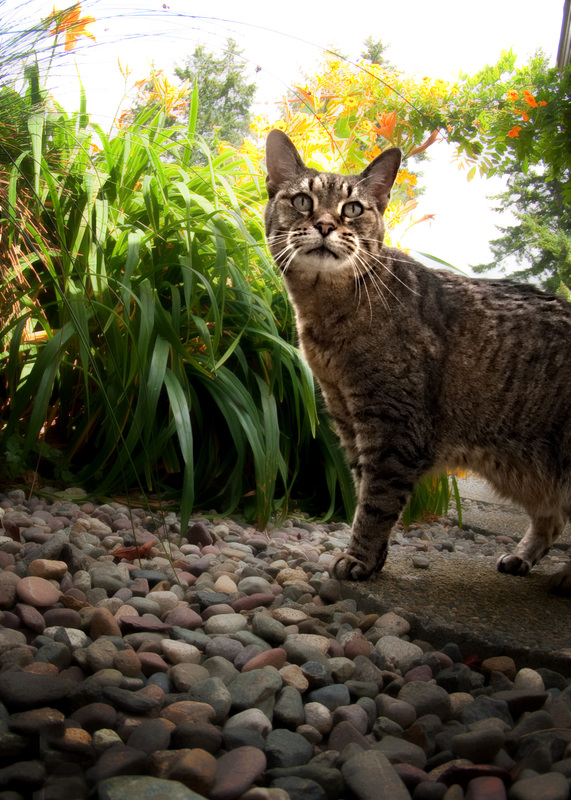 My search, in what seemed to be a kitten-less world at the time, led me to the backwoods of Elbe, Washington to a litter of truly, the ugliest kittens I’d ever seen. “Perfect”, I thought, and I scooped up the scrawniest grey female, deciding that it looked more like a little bat than a kitten. We named her “Lucy”. I took great delight in saying (in my worst Cuban accent), “Luuucy, you got some ‘splainin’ to do!”, (Ricky Ricardo style) anytime there was kitten shenanigans afoot. My daughter, an only child, found a sibling is Lucy who delighted in the company of a girl who loved her more than anything. She grew up to be a gorgeous little cat with the sweetest disposition and a tummy the color of pumpkin. My daughter and Lucy grew up together and they were inseparable. As a child, Rhiannon rolled the cat around in a little toy shopping cart, Lucy dressed in doll clothes, snuggled into a pile of doll blankets, purring away like it was the best possible thing she could be doing. Lucy was there for her through it all; grade school middle school and the first year of high school. When “her girl” went off to finish high school in California, she cried for her, truly mourning her absence and looking for her everywhere. 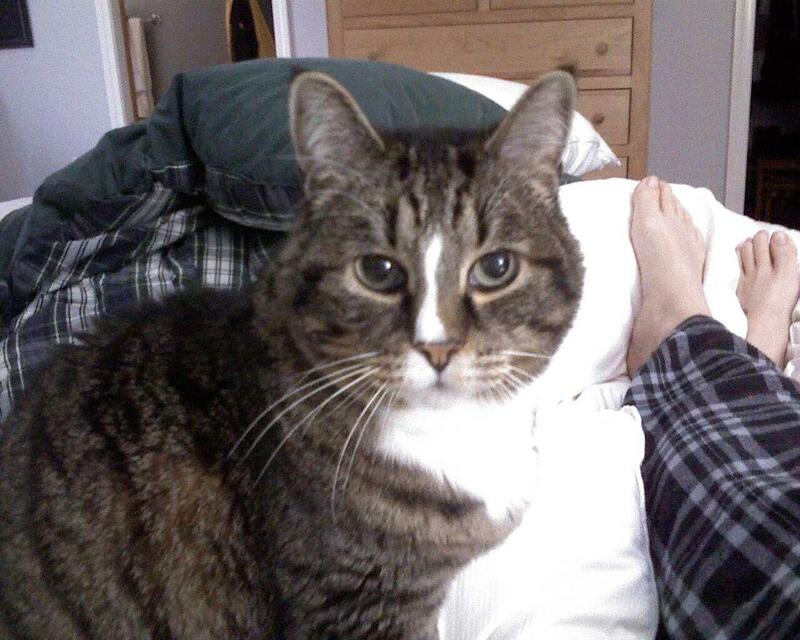 When our traveling student came home for a visit, she was always blissfully purring; the girl’s long absence forgiven. It was always Rhiannon she wanted. It was always Rhiannon she liked best. The rest of us, she tolerated. Even with her health declining in the last few months, she never missed an opportunity to hiss at the other animals in the house. Lucy promised me that she wouldn’t leave us until Rhiannon graduated from college. She did exactly that. Rest now, my tiny, sweet Lil’ Lucy. You were the best little cat in the world for the very best little girl in the world. He loves a good armpit rub and would lay there all day if you never stopped. With both arms straight out in the air and a look of complete satisfaction on his little face. He loves to attack my sonicare toothbrush as I'm trying to use it. He loves to sleep in the bathroom sink. He loves laying by the slider in the morning to sunbathe with the breeze blowing on him just a little and then catch the sunsetting in the front room for an afternoon nap. He loves to sit with me to watch and listen to the Decorah eagles raise their eaglets. He loves to nibble on your elbows and ankles (Only bony parts are good) to get you to move over so he can steal the warm spot from where you are sitting. He loves to follow Jurgen around stalking him to let him know he is ready for his lunch or dinner or 25th snack. He wouldn't give up till he gets what he wants. There is no hiding from him. He loves to snuggle with Misty and to sit on Jazz to get him to move over and share the heating pad. He loves to partake in Jurgen's Texas conference calls (Just in case he is needed). He loves to watch and chatter at the birds from the back deck. He loves to push his face through the circle you make with your hand and round off the corners of the coffee table with his little face rubbing. He loves to sit quietly on the night stand like it's his perch and stare at you till you give in to his wants. He loves to comb and snuggle in my hair before bed only to fall asleep and leave me a big drool spot (happy drool). He loves petro malt right out of the tube and never misses a drop. He loves blueberry bagels and if you dare bring one to the house be prepared to be stalked and harassed till you run away or give into his demands. He loves to sit on the bathroom scale and watch me get ready. Chirping at me if he thinks I forgot anything. He loves to scamper down the hall to the kitchen while looking over his shoulder to make sure you didn't get lost or forget where you are supposed to be going. He is kind spirited and has the biggest gentlest heart. He is the kitty that everyone wants to take home (Even the non kitty loving and the very allergic to kitties people) and is always a gentleman. Never any attitude or snobbishness. Just unconditional love and trust with a hint of feed me right now..... He does have a under 3 foot rule.. If your under 3 feet you must only pet me if you're supervised or I'm out of here (Thanks to my little sister's tail pulling days). He has the biggest beautiful warm green eye's. He purr's at just the slightest touch and drools with a good rub. I could go on and on about Screamer and what he loves. When I think of him the first thing I think is " My Perfect Little Man". Abby was a great friend to Ben and his sister in India. Abby was a world class barker and she loved to eat. Abby is loved will be missed by Ben his sister, Eric, Mary and every heart she touched. Forrest was a wonderfull friend to Paul and he loved to eat. His is missed and loved by Ida, Mark and Paul. Pete was a rescue dog from California that had a wonderful home for a short time. He loved to sleep, eat steak and chicken. 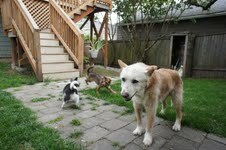 He also like his new friends and would play with them. He is missed and loved by Amanda, Jen and so many others that he met along his way. Zoe liked to play with other dog and she loved to walk around Greenlake. She will be missed and loved forever by Amanda. 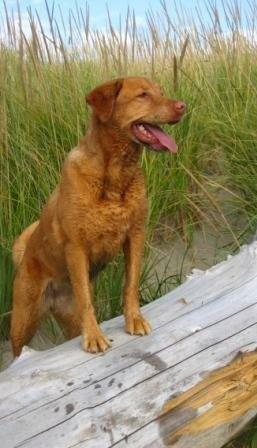 Bella loved to play ball, retrieve and hike. She really like to travel and has been all over the US. 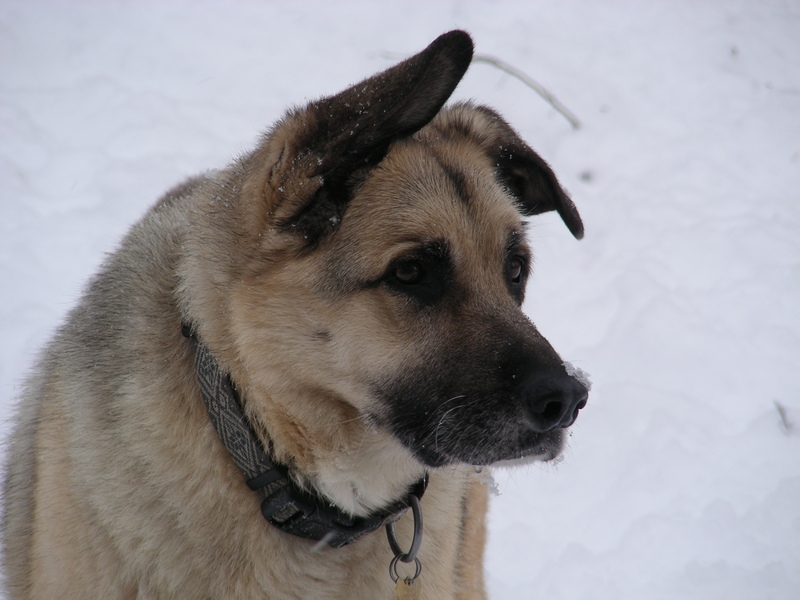 She was a happy loving dog that will be missed by Lidia, Clayton, Carl and Ann. Bella touched many hearts. 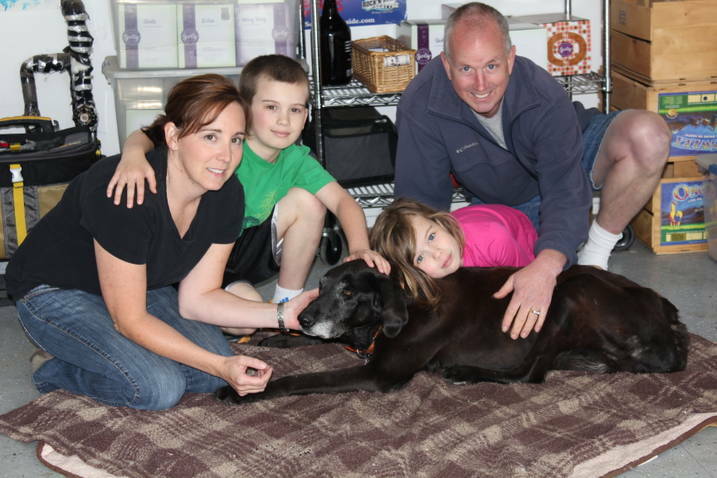 What a beautiful, loving, 14 1/2 year old lab Lucky with her whole family around and she new she was loved. She will be missed by Libbie, Jack, Joe, Beckie and every heart she touched.